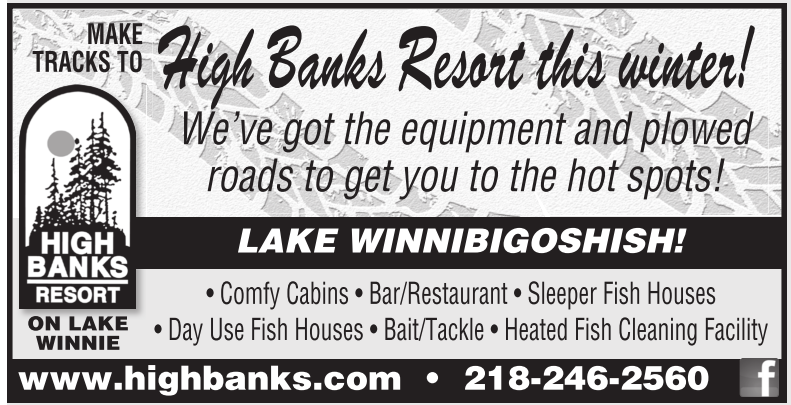 High Banks Resort this Winter! We’ve got the equipment and plowed roads to get you to the hot spots! Make Tracks To High Banks Resort This Winter! Fantastic fishing! Kids stay free! Childrens activities! Fantastic fishing, kids stay free! Childrens activities!